Upgrading to a projector screen? Why should you hire a pro for projector installation? If you don’t know and don’t care to learn about projector installation, or if you’ve already spent too much time trying to configure, customize, or troubleshoot, it may be time to bring in a pro. It can be worth the investment in your time and sanity to have a pro make sure your home projector installation is as smooth as possible with proper alignment and focus. Front projectors are able to create the largest images by far. Projectors give you the flexibility of having a screen size custom fit for your needs. Unlike flat panels where you’re limited in size a front projector will give you the option of having a projector screen as large as 120″ and larger. Projectors provide the ultimate home theater experience. Nothing else comes as close to truly re-creating the viewing experience of a movie theater. SG Installations AZ will evaluate your site and advise you on the optimal screen size. A projector screen makes for an extreme (and extremely awesome) home movie watching experience. Plan to install the projector screen in an area that is easily viewable from your existing furniture, situated in a place that the projector will display against wall. It’s not advisable to install a projector screen over a window that receives direct sunlight, or to use a projector screen as a substitute to a window covering because intense prolonged sunlight can damage the material. Keep in mind however, that projectors produce the best image in a dark environment, so best results are always produced once the sun has set. One thing comes into play if you’re deciding where to mount the projector screen, and that is whether or not there are any obstructions on the wall beneath the screen. A wall-mounted projector screen will pull down and retract very flush against the wall, and even the narrow presence of a picture frame or window trim. That will be enough to require the unit to be anchored 1-1/2” away from the wall on the ceiling. 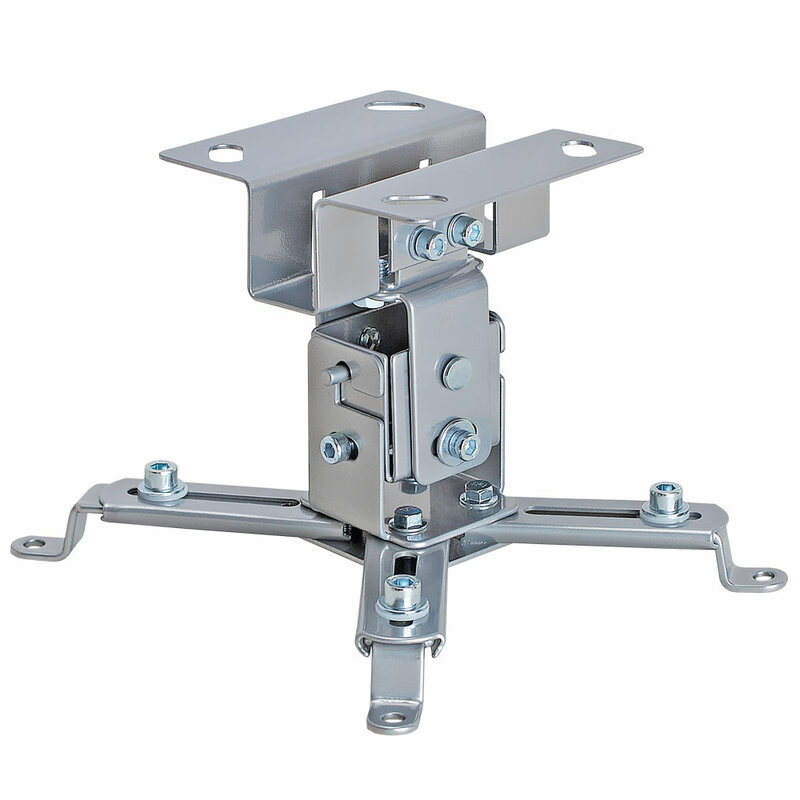 We will mount your projector on the ceiling or wall and neatly dress and or conceal your wires based on your ceiling structure as well as install your projector screen. Our projector installation pros come prepared with anything and everything they will need for the job. We make sure your projector and projector screen will be placed exactly where you want it and operating to its full potential. If you aren’t quite sure about the placement of your projector installation let us suggest the proper distance and elevation for you. Our job is not done until you are completely satisfied! Call us today and inquire about our in-home projector installation consultations! For a Projector installation quote, an individual estimate is required due to the projector you’re using and the space you intend on using. We always provide free on site estimates. 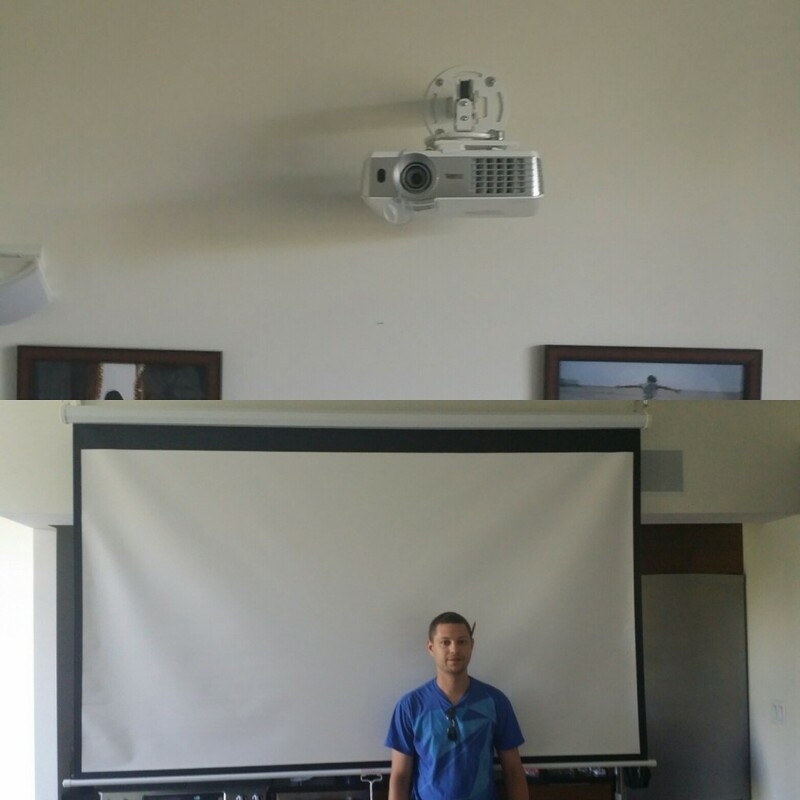 Call now for a projector installation quote!